" I got a sample cream bottle of the sticky bun 'flavor'. I had thought that fragrances and scented candles were no longer in my future. Too much SNEEZING!!! What with all the chemical additives in candles, I just can't do fragrance. So I took a whiff of this sticky bun candle. YUM. And no sneezing. So I lived with it for a week. I carried it in my purse. I put it on my desk right next to my computer so I could smell it. Had it by my bedside. It went everywhere with me. And in, a week's time --- NO SNEEZING!!! I asked the wonderful makers of these beauties about that. They said that all over the country, people say the same thing. People who can't do fragrances LOVE these candles because they also don't sneeze around these candles. Clean ingredients, wholesomely made by loving hand - that's the old fashioned secret." And so, elf Works Lane is proud to share these with your family too! Pick your favorite 'flavor/scent' and we'll get it on its way to you! AND we'll add you to our candle club. When you buy 12 of any single size, you will automatically receive TWO free. We keep your candle club frequent shopper card on file here, but you'll get a notice with each shipment of where you stand! You don't need to buy them all at the same time. We'll keep track for you! 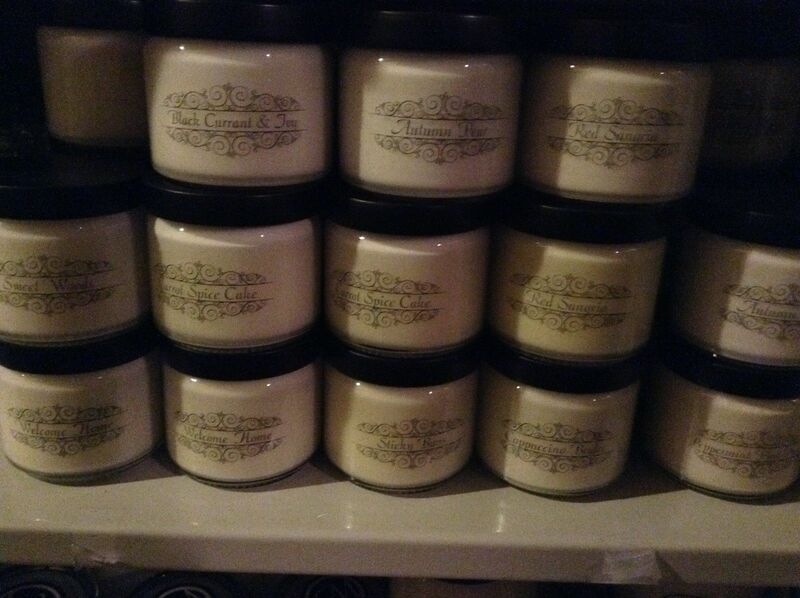 The Candle is filled with Milkhouse's signature soy and beeswax blend. Nostalgic glassware is the real old-world dairy glassware made thick, to insulate and protect its contents. Tech tip: This jar burns beautifully from your first light to final flame. For an awesome effect, line these beauties on the mantle for a night of entertaining! Fragrances: Pick your favorite! Check in with us prior to your purchase to ensure we have the fragrance you need in the timeframe you require. Apple Strudel fresh apples baked with juicy raisins in a fragrant blend of spice topped with a buttery crumb strudel. This will take you right back to Grandma's kitchen on baking day. Autumn Pear Juicy ripe pears warmed by the sun touched with just a kiss of vanilla, brown sugar and spice. Barn Dance A masculine tribute to the rural lfe- Deep notes of rich cologne and pipe tobacco. Buds and Berries Moodsy notes mingled with juicy red berries and plump fresh floral buds to create the perfect primitive fragrance. This has unsurpassed fragrance throw! Butter Toffee Sweet cream butter cooked with fresh vanilla bean, brown sugar and a sprinkle of cinnamon for a traditional confectionary treat. Cabin Fever Back by customer demand. This is an original Milkhouse favorite. Woodsy, warm and spicy. You won't mind being stuck indoors with this complex inviting aroma. Cappuccino Brulee A full -bodied espresso with a sweet cream topped with rich brown sugar crust. A warm, relaxing fragrance. Caramel Pumpkin Latte Caramel syrup drizzled over a fresh hot mug of steamed sweet milk and fresh pureed pumpkin with a shot of dark espresso. Carrot Spice Cake Sweet, rich, just pulled from the oven fragrance. Dark brown sugar, fresh carrots, juicy pineapple and vanilla. Spiced with cardamom, cinnamon, and clove. Chocolate Truffle Deep, dark, sweet chocolate on a rich vanilla base with soft notes of banana, mango and raspberry. A delicious fragrance treat. Cinnamon Stick A strong cinnamon fragrance with a woodsy undertone. 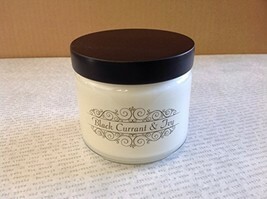 Citrus & Lavender A clean tart citrus notes combined with fresh fields of lavender buds. A very clean fresh fragrance for your entire home. Cranberry Amarettos Ripe red cranberries combine with the famous almond liqueur. A consistent Milkhouse best seller. Crisp Cotton Crisp clean linens blowing in the warm sunshine with just a whisper of fresh floral and citrus in the air. Eucalyptus Lavender A refreshing up-to-date blend of lavender and the exotic spice notes of Eucalyptus. Very warm and inviting. Farmers Market Take a walk through the aisles of your favorite outdoor market. Inhale the finest florals, fruits and botanicals the season has to offer with notes of clean, fresh breezes in the background. Fireside Pull up a chair and sit for a while next to the crackling wood fire. This is destined to become your favorite! Fills the entire house with the rustic warm fragrance of smoldering fire wood. French Thyme Deep herbal, green fragrance. Earthy, and soothing. In the Middle Ages Thyme was believed to assure passage into the next life. We think it will make you a bit more contest to stay in this one. Ginger Fig An upscale culinary adventure. Pungent fresh ginger root blended with juicy ripe figs. A must add for anyone that enjoys good food fragrances. Gingerbread Pumpkin Rich spiced gingerbread baked with generous amounts of fresh pumpkin. Sweet and spicy! Hazelnut Praline The essence of this rich italian nut is captured and combined with sweet, buterry crumb. Heirloom Tomato Green tomato vines, ripe colorful tomatoes, and fresh summer air. This will remind you of a summer day spent in the garden. Honeysuckle Pear A very sophisticated fragrance. The sweet smell of the beautiful bell-shaped honeysuckle is captured and added to juicy ripe pear, resulting in a wonderful, fresh natural botanical blend. Lemon Cheesecake Sweet cream cheese heavy with fresh squeezed lemon juice baked in a gram cracker crust. This is everyone's favorite dessert. No artificial smell here...this recreates the real thing. Lemon, Basil, & Olive A staff favorite. Fresh citrus, green herbs, and the tangy bite of olive make this a must-try for the kitchen. Complex and sophisticated. A great fragrance throw. Lemongrass Tea An earthy uplifting fragrance. Fresh green notes with hints of Meyer lemons and sweet ginger. Lilac & Wildflowers A floral delight. Lilac blossoms combine with sweet pea blossoms, daisies, hyacinth, and clover. Oatmeal, Milk, & Honey Fresh-baked oatmeal cookies dipped in whole milk, drizzled with true sweet honey. Subtle cherry notes complete this delicious treat! Patchouli Deep, musty, sweet and spicy fragrance. A soothing blend valued for reducing tension and enhancing relaxation. Peach Your mouth will water. Fresh-picked, juicy ripe fruit. Peppermint Pine Needle Fresh pine boughs laced with sweet peppermint candies. Pure Vanilla A fresh Madagascar vanilla bean! A customer favorite! Red Sangria Full-bodied red wine infused with brandy, citrus, crisp geen apples, and a touch of fresh herb. Rhubarb Strawberry The first sign of spring...fresh rhubarb and strawberry plants emerging from the frozen earth. This refreshing fragrance is sweet and tart with just the right hint of spice. Root Beer Float The fragrance of good Old-Fashioned Sassafras poured over sweet cream vanilla ice-cream. This is the perfect summer time combination! 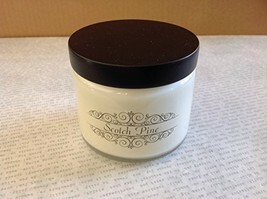 Scotch Pine A fabulous pine fragrance. This fills your home with the smell of a dense pine forest after a fresh rain. Southern Jasmin Dew-kissed white jasmin flowers in the early morning. Close your eyes and you will be walking down the path in a southern garden. Sticky Buns Warm cinnamon rolls fresh from the bakery oven. Gooey, sticky, and so fragrant! Sweet Potato Pecan Pie The name says it all! Sweet potatoes smashed with rich brown sugar and a fragrant spice blend topped with toasted pecans and baked in a buttery crust. 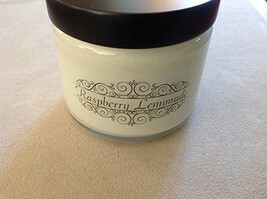 A wonderful fragrance throw that will make any home feel warm and inviting. Sweet Woods A full rich fragrance bursting with woodsy balsam and sandalwood. Accents of ripe fruits and rich florals with a hint of smoky spice. Sensational! Tis the Season The traditional blend of tart citrus and warm spices with a touch of vanilla. Bound to bring back memories of Grandma's country kitchen. 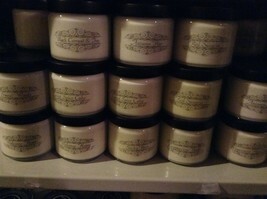 Tuscan Garden A very sophisticated fragrance for today's home. Fresh mountain greens and spicy olive trees. A Milkhouse staff favorite. Victorian Christmas Fresh cut pine boughs from the deep woods mingle with rich spice. A nostalgic, sophisticated fragrance. Welcome Home Warm hearth fires and fresh baked goodies from the oven. Sweet, spicy, fruity and delicious. 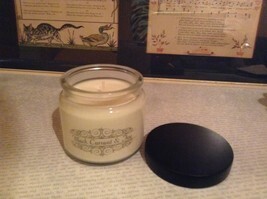 White Cedar & Spice Woodsy aroma of tall stands of northern white cedar trees with ginger, clove, and cinnamon spices. Lingering undertones of soft rose and lily. White Tea & Ginger An intoxicating mixture of white tea notes and pungent, spicy ginger. A exotic mixture that is great for every room in the house. Sugar Plums Plump seasonal fruits dusted in sugar with nutmeg and cardamom. A festive Holiday tradition. Pomegranate Martini The super fruit presented in the form of a sweet, tart and spicy fragrance. Fresh rip pomegranate touched with a splash of orange and finished with a twist of lemon. Farmer's Market Take a walk through the aisles of your favorite outdoor market. Inhale the finest florals, fruits and botanicals the season has to offer with notes of clean, fresh breezes in the background. Black Currant & Ivy Deep, exotic notes of cassis mingled with citrus and jasmine with an under-note of soft green ivy. A rich contemporary fragrance for the home. Gin & Tonic Our nod to the classic cocktail. Crisp, clean, and bright. Juniper berries and soft citrus. SILK (our new fave) - Notes of Lily and Jasmine arrive on a musk and tonka bean base to create this luxurious fragrance experience. This is a beautifully balanced natural fragrance. The sophisticated combination is destined to become a signature fragrance in your home. SPICED PLUM CHUTNEY - Sweet, juicy, red plums are mixed with cranberry, orange, and lemon. A touch of cilantro with cinnamon, nutmeg and clove finish this culinary fragrance treat. AMBER SUNSET - A compelling amber note is accented with the oriental woodsy fragrance of cedarwood and spices. Sweet musk with vanilla supports the rich fragrance sensation.